Researchers in the University’s Astronomy Department have recently authored a paper detailing the discovery of three super-Earths orbiting the nearby star GJ 9827. The exoplanets, all larger than Earth, were identified by Astronomy graduate student Prajwal Niraula MA ’18 under the advisement of Associate Professor of Astronomy Seth Redfield. This discovery marks the closest exoplanets to Earth ever identified using the National Aeronautics and Space Administration (NASA) Kepler Telescope. Niraula and Redfield were first and second authors on the paper “Three Small Super-Earths Transiting the nearby star GJ 9827,” which described the discovery. Redfield and Niraula made the finding through the use of the Kepler Telescope, which has been the most frequent tool in the quest for identifying exoplanets, or planets that are not within our solar system. Over the course of its use, Kepler has helped researchers identify over 1,000 exoplanets in varying locations all over the galaxy. Niraula’s discovery is particularly notable, however, as this star system is the closest one ever identified by the Kepler Telescope—a mere 98 light years away. Niraula noted that he became involved in this research upon arrival at the University and working with Redfield, whose research primarily focuses on nearby stars. Redfield is a part of the K2 Mission, a project originating in NASA centered around a continual hunt for planetary systems. Participants in the K2 Mission use data obtained by Kepler, running it through a variety of tests and techniques of measurement to find potential planetary systems. Niraula explained that the use of Kepler data was one of the reasons he was drawn to this research. Kepler, originally, was pointed at a specific point in the sky of particular interest to NASA researchers. However, due to a slight malfunction (or what Redfield calls a “hiccup”), Kepler now needs to shift its direction every three months. Because of this, astrophysicists can now make suggestions for potential spots in the sky at which Kepler can point, specifically with interesting stars. This is exactly what Redfield did. Redfield explained that this star was of interest to him mainly because of its close proximity to Earth. While Kepler in the past has pointed at stars up to thousands of light-years away, this star is less than 100 light-years in distance. The main tool for this research used by Redfield and Niraula is called a “reduction pipeline,” which is used to help process the data from Kepler into usable information. The process, Niraula agrees, was a long one. A lot of Niraula’s work was confirming that the reduction pipeline wasn’t giving him false positives. Often times, the measurements identified using the reduction pipeline ended up not being those of a planet at all, instead indicating eclipsing binaries (two stars going around one another and blocking each other). Because of this, Niraula had to further analyze the information given by the pipeline to ensure that data was for that of a planet, and often, it wasn’t. However, Niraula notes that the efforts were worth it. 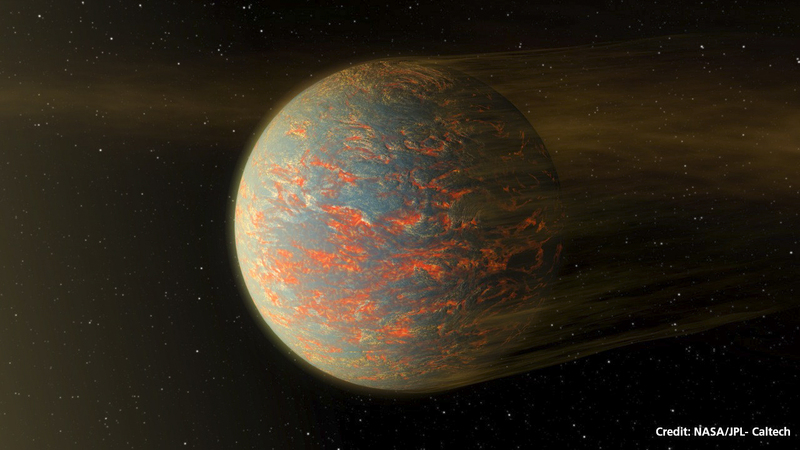 Redfield explained that super-Earths, in addition to being larger than Earth, are particularly interesting because of their structural and atmospheric makeup. In our own solar system, the larger planets of our solar system, like Jupiter and Saturn, are “gas giants,” and smaller planets, like Earth and Mars, have hard surfaces. Super-Earths like the ones Redfield and Niraula identified also may have these terrestrial surfaces despite their larger size. This means they have a mass right between planets with smaller, hard surfaces, and larger planets with gassy atmospheres. In terms of the potential continuation of this research, Niraula and Redfield both noted that the discovered planets remain interesting for a variety of reasons. Redfield explained that the planets, in addition to being the closest planetary system ever discovered with Kepler, tie into the quest to find extraterrestrial life. Redfield noted that a variety of other research teams, including one at Harvard, have been looking at the same data in pursuit of finding planets. The Wesleyan team was the first to submit the research in the form of a paper, but astrophysicists around the globe were involved in the process of researching and writing the paper. Redfield and Niraula both acknowledged their help. Redfield and Niraula also both mentioned the excitement they felt at the discovery of the first, then the second, then the third planet. Redfield and Niraula will continue working on this research, which will culminate in Niraula’s master’s thesis. Both are excited about the future implications.